Tearing into the Opposition Congress, Defence Minister Nirmala Sitharaman leveled the serious allegation that the MMRCA deal was deliberately scuttled by the previous Congress-led UPA Government because of extraneous interests, in disregard of a pressing national security requirement for additional fighter aircraft. Defence Minister Nirmala Sitharaman on Rafale Deal in Lok Sabha: First aircraft will be delivered in September 2019 and last of 36 aircraft will be delivered in 2022; process of negotiation was finished in 14 months. While imputing motives to the Congress for not concluding the Medium Multi-Role Combat Aircraft (MMRCA) deal during its term in office from 2004 to 2014, Defence Minister Nirmala Sitharaman disclosed in Parliament on January 4 that the Comptroller and Auditor General (CAG) is conducting an audit into the aborted MMRCA programme along with the one into the deal for 36 Rafale aircraft signed by the Modi Government in 2016. "The CAG is conducting a performance audit of capital acquisition of weapon systems, including the MMRCA and 36 Rafale aircraft. The complete draft audit report was received in the Ministry of Defence in December 2018 and the response for the same is under preparation," the Defence Minister told the Lok Sabha during her reply to the fractious debate on the Rafale deal. The failure of the decade-long MMRCA programme to acquire 126 fighter aircraft was the background to the truncated Rafale deal in 2016. This suggests that the CAG report would be tabled during the next session of Parliament, in the run up to the next General Elections in April-May 2019. 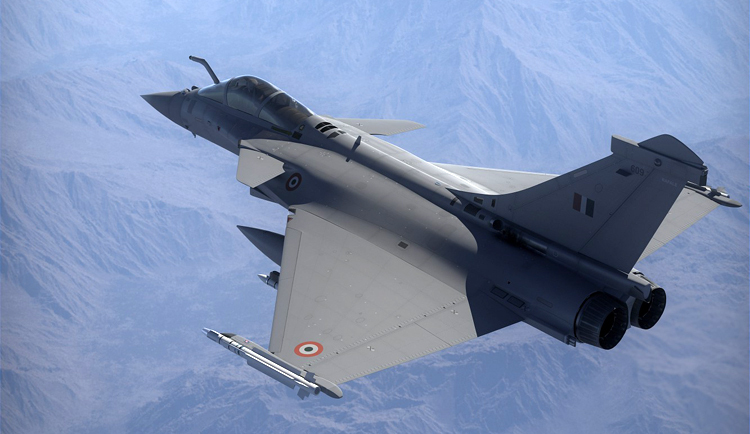 This could introduce a twist to the ongoing controversy over the Rafale jet deal, and put the Congress, which is presently raising questions over the Rafale deal by the Modi Government, on the mat itself.The failure of the decade-long MMRCA programme to acquire 126 fighter aircraft was the background to the truncated Rafale deal in 2016. Tearing into the Opposition Congress, she leveled the serious allegation that the MMRCA deal was deliberately scuttled by the previous Congress-led UPA Government because of extraneous interests, in disregard of a pressing national security requirement for additional fighter aircraft. "The UPA would not buy (the fighters) till something else was done...The deal was stopped because someone did not get something somewhere. The deal did not suit you (Congress). National security was thrown away. I allege as I elaborate that they (Congress) did not intend buying. National security was at risk. But that did not matter (to them). It was their treasury security which mattered. The Congress should not ask questions but give answers," she said, adding "there's a difference between defence dealings and dealings in defence". She launched a scathing attack on the Congress for its "campaign based on falsehoods" and to "mislead the country with untruths" over the Rafale deal. Sitharaman even questioned the claim by the UPA Government's Defence Minister AK Antony that money was not available for the MMRCA deal, disclosing details of a schedule of payments for a contract for 126 Rafale fighters having been budgeted. 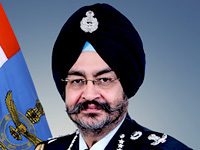 The Defence Minister responded to three main charges leveled by the Congress against the Rafale deal: that the reduced number of aircraft from 126 to 36 jeopardised national security interests, that the price contracted by the Modi Government was a huge escalation over what was quoted during the MMRCA negotiations for the same aircraft, and that a private business house - Reliance - was unduly favouredin being awarded an offsets contract to the detriment of the public sector Hindustan Aeronautics Limited (HAL). She said the deal for 36 Rafale fighters was finalised as an emergency purchase on the advice of the Indian Air Force. She cited earlier examples of the acquisition of the MiG-23 MF in 1982, the Mirage 2000 in 1985 and the MiG-29 in 1987 to maintain that only two squadrons are acquired under an emergency purchase. The 36 Rafale fighters would also comprise two squadrons. While these are being purchased in a fly-away condition from France, the balance requirement for fighters would be made in India. She made a reference to the initiation in 2018 of the procurement process for 114 fighters under the Strategic Partnership Model. The Minister accused the Opposition Congress of shedding "crocodile tears" for HAL, highlighting that that it failed to resolve the deadlock between the French Dassault and HAL which was intended to produce Rafale fighters under the MMRCA programme, and that it did little to improve the performance of the public sector behemoth during its long years in office. Sitharaman listed orders worth over 100,000 crore placed by the Modi Government to HAL. The Defence Minister insisted that the present Government had negotiated a better Rafale deal than the one which was offered under the MMRCA programme. Comparing prices for the bare aircraft, she said the current Rafale deal was costing 9 per cent cheaper at 670 apiece as against 737 crore for the MMRCA tender. She explained that the MMRCA price would have risen to 737 crore apiece in 2016 because of the escalation clause and the variation in the Rupee-Euro exchange rate. When the price of the weapons package is added to that of the basic aircraft, the 36 Rafale deal is cheaper by 20 per cent, she maintained, while saying that she was not at liberty to disclose the price of weapons because of the secrecy pact with France. Seeking to puncture Congress President Rahul Gandhi's consistent charge of Anil Ambani's Reliance being "handed over 30,000 crore" under an offsets deal, the Defence Minister made disclosures which render the allegation infructuous. Sitharaman said Dassault's share of offsets to be delivered in the Rafale deal is only 19.9 per cent. The total value of offsets to be delivered by a group of French companies in this deal is about 29,000 crore, or 50 per cent of the value of the Rafale contract.Dassault is the integrator of the Rafale aircraft. The majority of offsets are to be delivered by the weapons company MBDA, engine company Safran and the electronics company Thales. While the Minister made no mention of Reliance, this company has an offsets arrangement with Dassault, and the business which is being attributed to it as way off the mark. Sitharaman said Dassault's share of offsets to be delivered in the Rafale deal is only 19.9 per cent. The total value of offsets to be delivered by a group of French companies in this deal is about 29,000 crore, or 50 per cent of the value of the Rafale contract.Dassault is the integrator of the Rafale aircraft. Sitharaman also emphasised that the Government had no say in the selection of offsets partners by the Original Equipment Manufacturer, and that the rules being followed were in force since the tenure of the previous Congress-led Government. 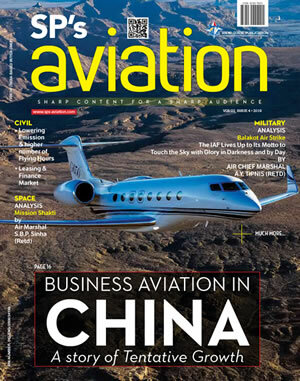 "There is no mention of any private business house as an offsets partner in the Inter-Governmental Agreement (with France) or the offsets contract (signed by the Government with Dassault and MBDA). Officially, no information has been conveyed by the French side about its offsets programmes and partners to the Government yet. The schedule for commencement of offsets delivery begins from October 2019, and the deadlines for information on partners are still some time away. Also, for the first time, the Defence Minister acknowledged that a revised bid was submitted for Eurofighter Typhoon which lost out to Rafale in the MMRCA competition. Eurofighter reduced its price by 20 per cent in an unsolicited bid in 2012, which was reiterated again in July 2014 after the Modi Government took office, but its consideration would have vitiated the process, the Minister said.